With Valentine’s Day approaching, it is time to highlight our heart-making team members. Below is a sampling of some of the items that our team members have incorporated the heart into. 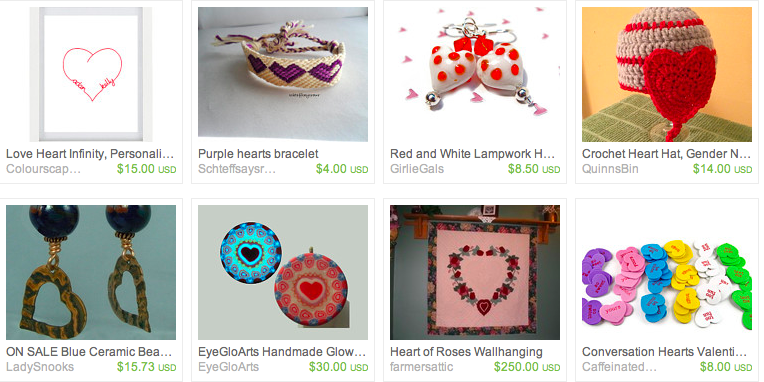 There are mug cozies, bibs, jewelry, art, hats, quilts and so much more. 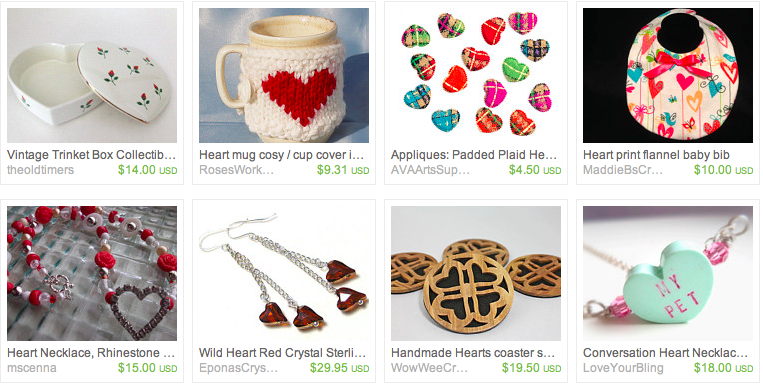 More details about each of these items can be found in this lovely Etsy Treasury. 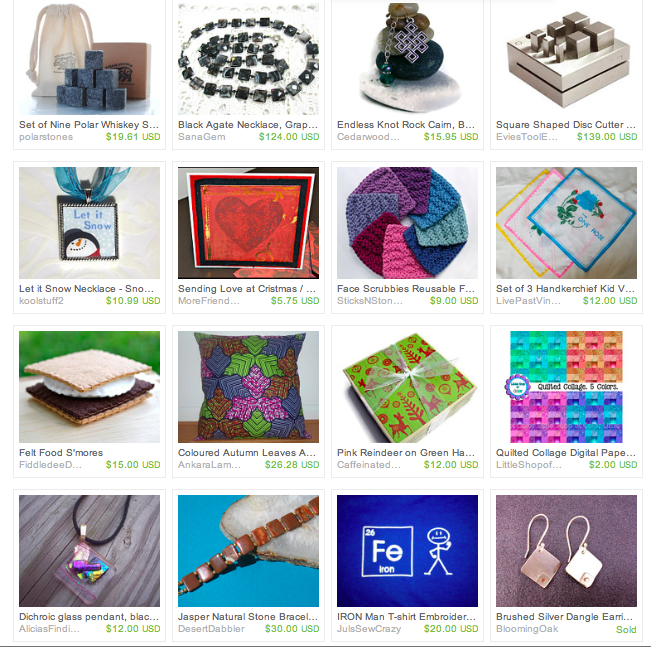 In addition to the featured products below, you can find more hearts from our EtsyChristmasInJuly members here and here. Hello from Rita of Handmadebits4u. I have another round of fantastic gifts for you from our team members. The theme for this installment is fabric. 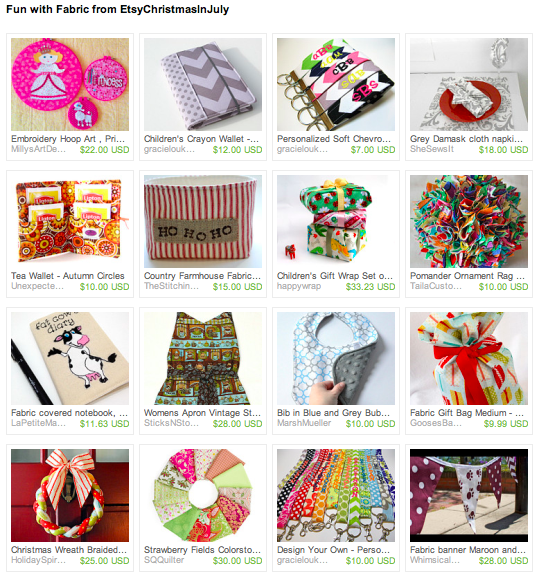 There are gifts for all ages that are made with fabric. You will find embroidery hoop art, crayon wallets, key fobs, napkins, tea wallet, baskets, bibs, aprons and so much more. So take a look and see if you can find that special gift for that someone special on your list! Around and Around and Around We Go…. Hi, It’s Rita from HandmadeBits4u once again. 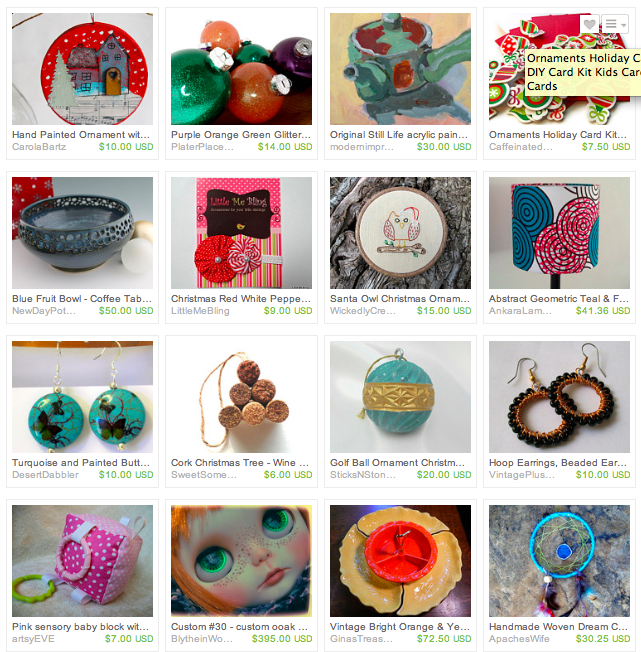 I sure do hope that you are enjoying these posts featuring gifts from our EtsyChristmasInJuly team members. Today’s theme is circles. You will find ornaments, paintings, pottery, jewelry, paper crafting and vintage items, dream catchers, and gifts for children all with circles incorporated into them. We have such a multi-talented team!! You can find detailed descriptions by clicking here and then clicking on the item of interest.